Very cool! Capturing spider-webs to make art! I love simple, random, some may think odd, hobbies that become a business! via Coolhunting part 1 and part 2. Second video after the jump. Here’s a great hour long panel discussion moderated by Guy Kawasaki (garage.com) talking to successful start-ups about how they started, how they made millions, how they survived, what not to do, where they came from, fun times, etc. 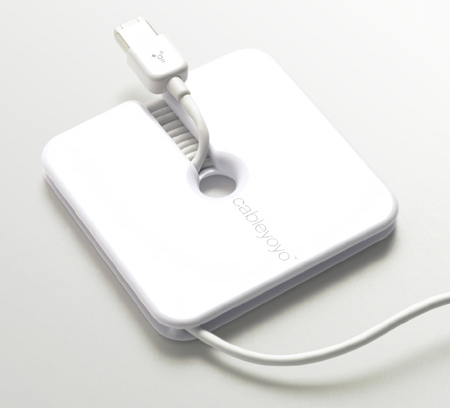 I first spotted the CableYoYo at CES2005 and never really thought I’d need an extra piece of plastic to manage my small extra corded products such as my mouse, laptop, earphones, keyboard, etc, but I received one as a gift last year and latched it onto my favorite Mouse (red Logitech MX510). 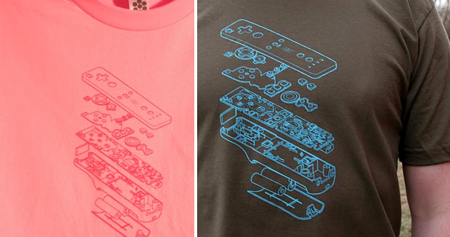 The Nintendo Wii rocks… now I want a Tii-shirt! In Brown , Pink, or a kids Teal. – Proof Aquafina and Dasani water is just local tap water! – Super high res image of downtown boston via neatorama. – IDSA Okala EcoDesign Guide. – Naoto Fukasawa’s project on how materials make a huge difference. – Dippy Egg set.. makes ya want eggs and toast! – Tech guru GigaOm launches The GigaOm Show! The first episode was a great interview with co-founder James Hong of HotorNot, and CEO Bill Watkins of Seagate. – SoundBall! Pretty cool! Reminds me of Mario Brother in Reality! Watch the video! – Double sided toothbrushes (brush your gums while brushing your teeth)(The Colgate 360 or the Reach Fresh & Clean) I think i saw this as a student project many years ago…great design! – Underwater Pool Installation! Fun fun! via Hemmey. Very cool! Time to tag the whole city with invisible yet camera visible tags! “With Kameraflage, now you’ll be able to plant subliminal messages on T-shirts, movies and billboards that can only be seen with digital cameras. This context-sensitive display technology, developed by Sarah Logie and Connor Dickie, works by using colors that are invisible to us but easily picked up by the silicon chips in digital cameras. As you can see, the lovely model above is wearing a shirt that only reveals that cloud’s lightning bolt when seen through an iPhone’s digital camera, although any ordinary unmodified digital camera would get the same result. She just as easily could have placed her phone number in that cloud. Hmm. 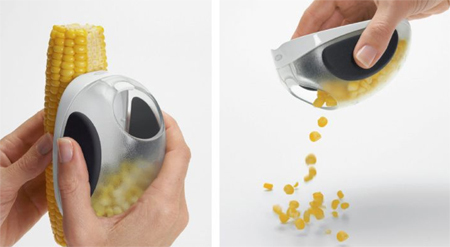 Let’s think of some other uses for this cool tech. How clever! Why didn’t I think of that!!! – Do not let emails be your address book/calendar/to do lists. – Trash the ones you don’t need to read. – Answer and move emails to folders (this is a step Merlin says not to do, but archive it all). – Make it a habit to get to zero daily. You know how right before you leave for a vacation or something, you sit down and hammer out tons of overdue emails, activities, projects, etc…. we’ll basically be that productive every day… with an inbox of zero, your less stressed, can find things much faster, and you feel much cleaner!!! 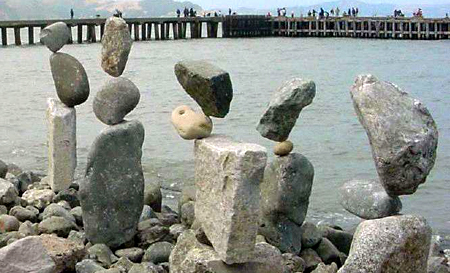 Woa weird… Rock balancing by artist Bill Dan! (his blog) His work reminds me a bit of one of my favorite artists Andy Goldsworthy. 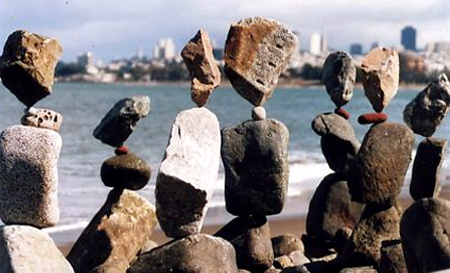 Get some rocks and start balancing! 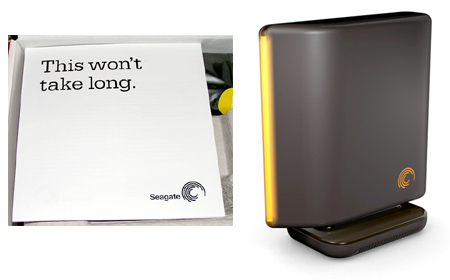 A few weeks back, I was in need of an external hard drive, and like most geeks I cruised the internet for reviews, asked opinions from friends, and ventured off to store shelves to see what was hot. After pacing around for more than needed, I finally bought the FreeAgent by Seagate because it seemed clean, was understandable, and it just felt better. I’ve been incredibly happy with the product and ran into this great post describing someones great experience in the packaging design, which I’ll admit made me buy over the other options because the packaging was so human and sweet. I’d say “simple”, but I don’t like using that word because everyone thinks it means reduction when it actually just means intuition. Woa! 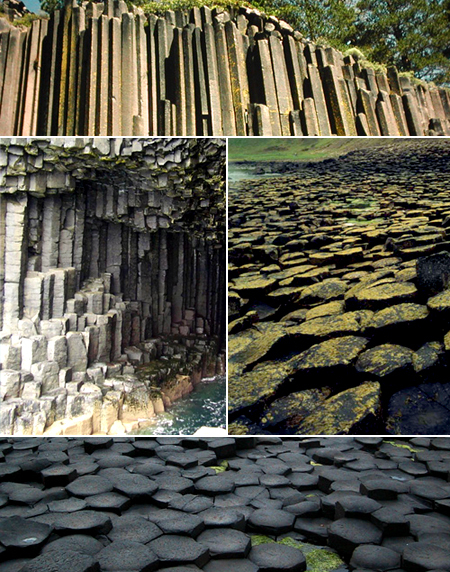 These cascading column like basalt formations rock! 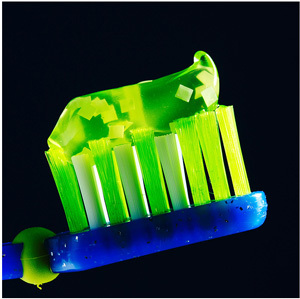 Did you know that toothpaste can damage your teeth? According to the following article, I can see why… Otherwise, I’m sticking to my tasty paste for now.